The capital city of Cyprus, Nicosia, is encircled by stone walls shaped like a star with eleven heart-shaped bastions that once served as military fortification for the Venetians who were one in the long line of occupiers on the island. The old city is also bisected by the infamous “green line” making it the only divided capital in the world, the South side part of the Greek Republic of Cyprus and the EU, the North side the Turkish Republic of Northern Cyprus and recognized as an autonomous region only by Turkey. 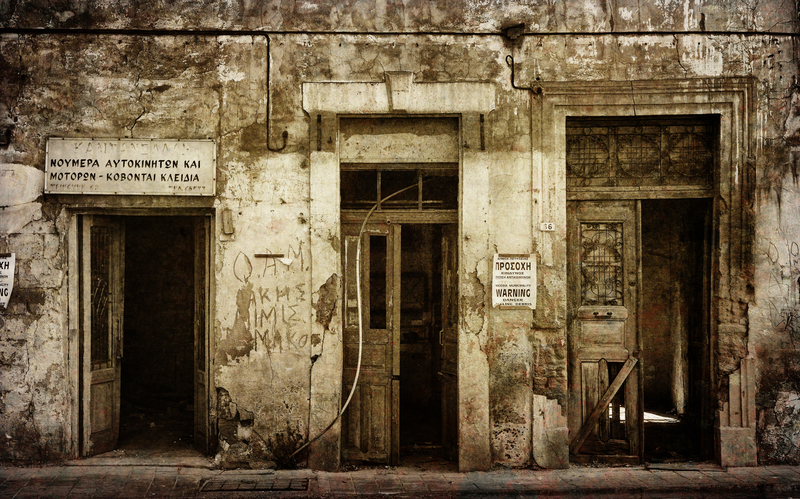 Near the ‘green line’ in the old city, abandoned and semi derelict, Greek Cypriot buildings once used as workshops…..decline and decay with a casual grace.